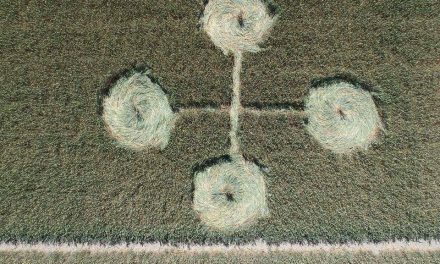 To anyone with any context of crop circle history, the dumbell shapes — accompanied by lines on each side — leap out at the eyes from this formation. So do the glyphs on two of the outer circles. Maybe it’s just coincidence, but these features first appeared back in the days when Doug Bower and Dave Chorley caused their own particular brand of mischief in the fields. Sadly, we switch from one set of dumbells to another. 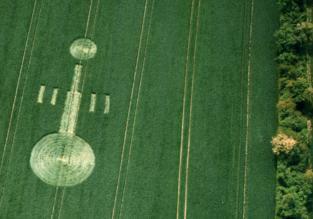 Crop Circle Wisdom and its accompanying Facebook page. Errr, okay. Even if it was decipherable it would still be the utter nonsense it is. Another quite basic design depicting the arms of a Hexacopter Drone. 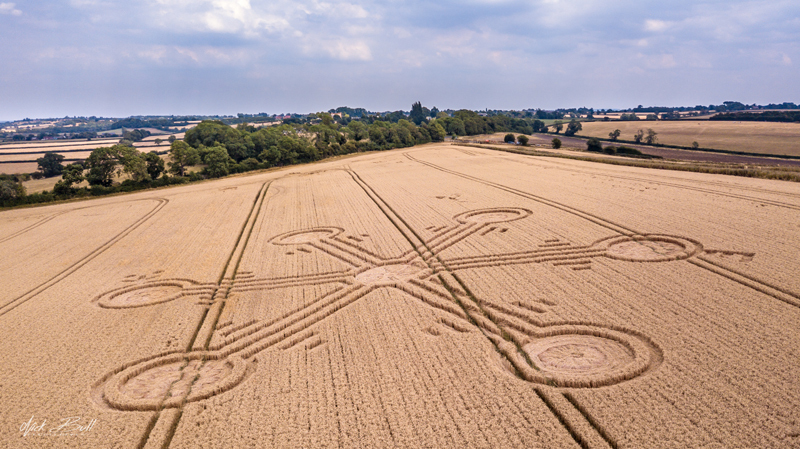 Is it a hexacopter drone or is this just a wild guess because the symbolism of the design is completely wasted on Crop Circle Wisdom? Almost certainly it is the latter. Over the last few weeks Steve Alexander once again has showed his disapproval towards drone pilots so this formation was made by circle makers who continually and only report to Steve and it is suspected to be as a mockery or a prank formation. 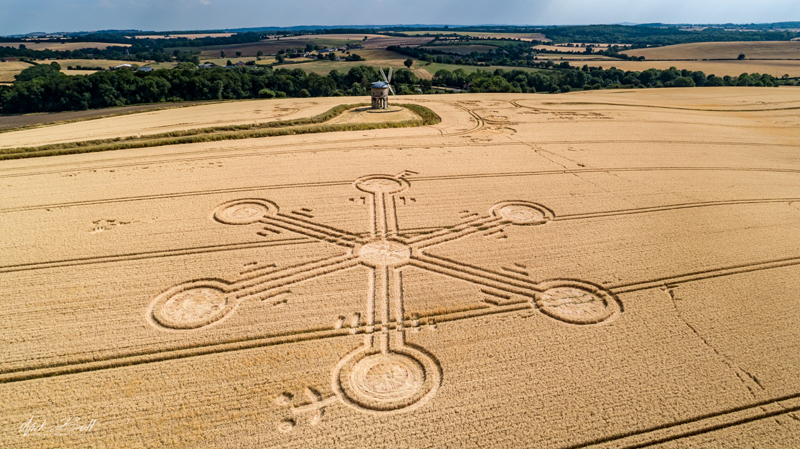 There has been an ongoing rivalry between Steve Alexander and the Crop Circle Connector‘s drone photographers for a number of years now. It is nothing new. 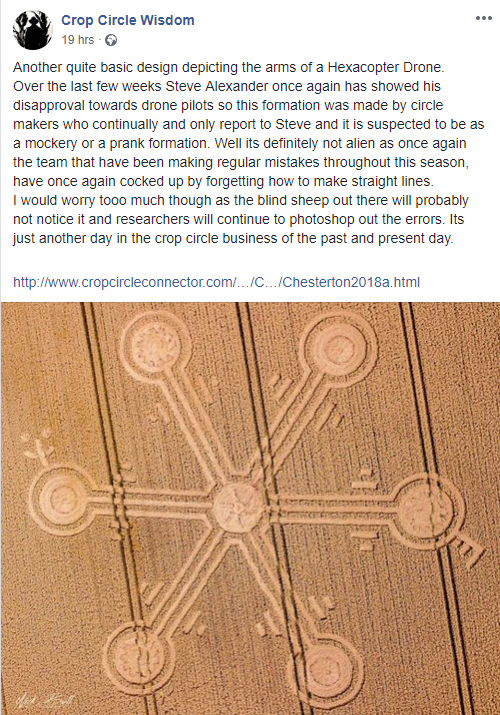 Crop Circle Wisdom is also carrying on the habit of pointing the finger towards circle makers who ‘only report to Steve [Alexander]’. This is pure conjecture. Does he really think these people are all in cahoots and sit around thinking of a way to get one up over the drone photographers? And just how many formations has Steve Alexander got to before the Crop Circle Connector in 2018? The Croppie can think of one: Longwood Warren in Hampshire. And it isn’t to say that Alexander was necessarily tipped off about it. 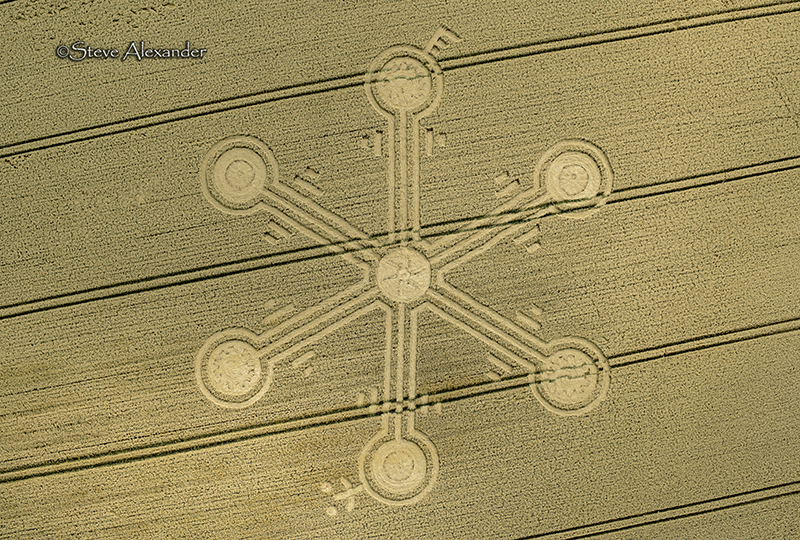 Note Crop Circle Wisdom seems to think Steve Alexander got to this formation before the Crop Circle Connector. He didn’t. 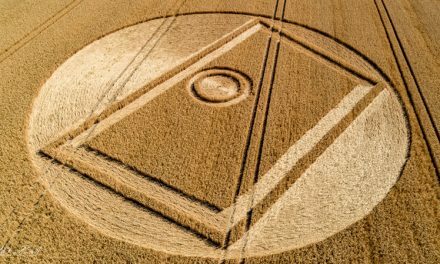 The ‘prank element’ … just because Crop Circle Wisdom has made prank circles like caterpillars, it doesn’t mean everyone else would follow his actions. More guessing. Well its definitely not alien as once again the team that have been making regular mistakes throughout this season, have once again cocked up by forgetting how to make straight lines. Aha, the team making regular mistakes, the mysterious outfit that Crop Circle Wisdom associates with any circle made by people he doesn’t know or maybe doesn’t approve of. The one that spends an awful lot of money running between Wiltshire, Hampshire and Warwickshire. Without the facts, he spins around and points his fingers in certain directions and hopes he gets lucky. 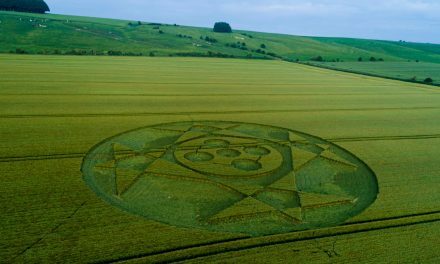 Times have moved on since Crop Circle Wisdom’s heyday. There are new personalities on the croppie scene whilst old ones have disappeared. Like The Croppie he doesn’t know who all the circle makers are … not that he did at any point. The wonk? 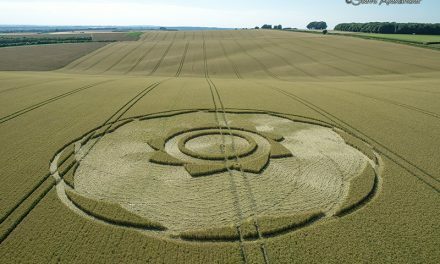 The straight lines in this formation are no worse than in the ‘door’ that Crop Circle Wisdom recently got very excited about. 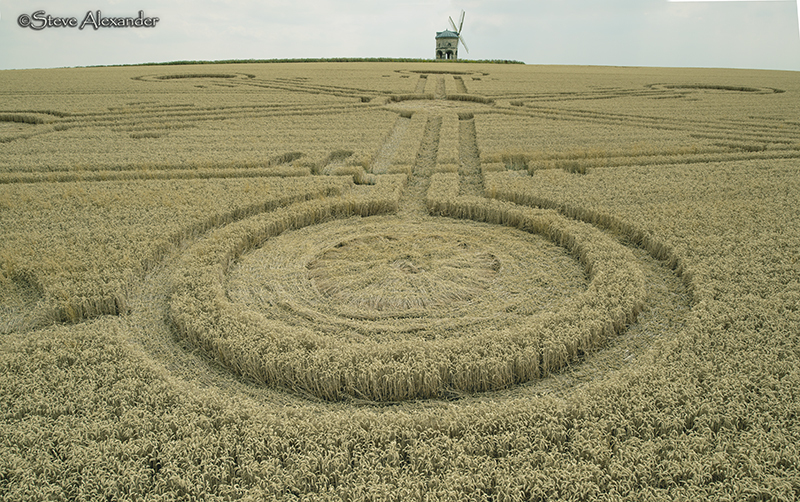 But this is how it works in the Crop Circle Wisdom world … mates’ rates.